I wasn't quite sure what kind of ending this movie would have in store, but I decided a Memento / One Hour Photo feel would be the best sell. Being obsessed with the "perfect life" and taking lots of pictures probably wouldn't appeal to the average moviegoers and therefore a platform release would do this film the most justice. 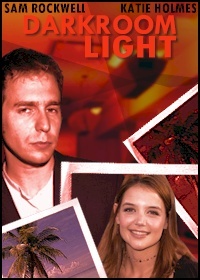 Although no cast was specified, Sam Rockwell seemed a good match for the eccentric loner and dreamer while Katie Holmes fit the girl-next-door simple beauty description. I would aim for getting attention at film festivals rather than expensive TV and print ads. Finding Marlin There is no question that this movie will eventually be made. It is just a matter of time and of direct-to-video or Theaters. 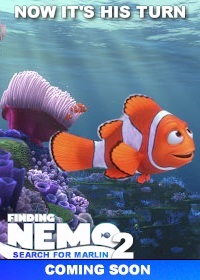 I don't think this pitch as is would be enough to make a theatrical sequel, but with all the money and records the first one broke, kids would probably still beg just to watch Nemo swim around for 90 minutes. However, for kids movies especially, it is important to keep things familiar and not to alienate the huge fan base. Just keep it fresh enough for the adults. For a theatrical release, an all out advertising blitz from Disney should do the trick. For a DTV deal, targeted ads on Nick, Disney and other kids channels will get all the attention the movie needs. 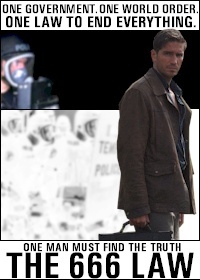 The Law of Armageddon There is a strong healthy market for religious thrillers such as Omega Code and Time Changer. I doubt this movie would be successful in wide release, so it would be important to study the release strategy of other movies with a similar subject matter and that completely self-financed their theatrical release. This movie seems to address the growing concern from many religious groups that the government is trying to ban religion from public life. Given the strong feelings on both sides of this issue, controversy surrounding the movie could grow and help propel the movie into the national spotlight and translate into box office dollars.